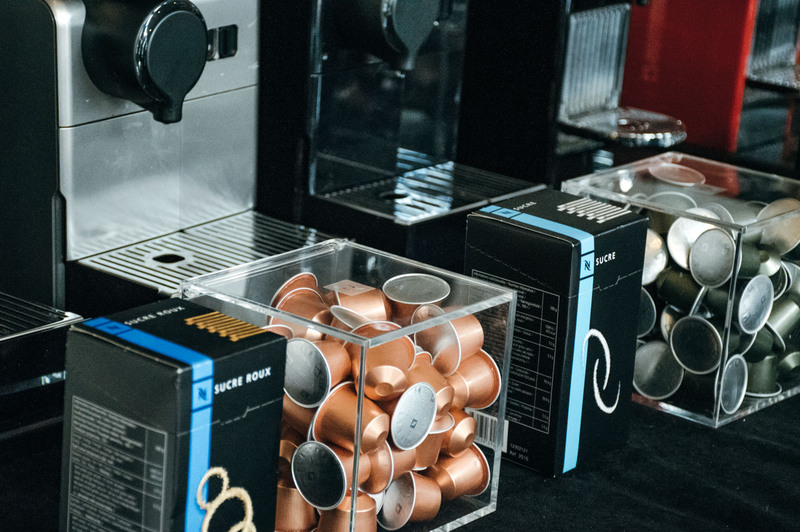 City Guide // Nespresso launch their South West boutique.. I love coffee, who doesn’t? So when Nespresso invited me to celebrate the launch of their first boutique in the South West, well, I jumped at the chance. 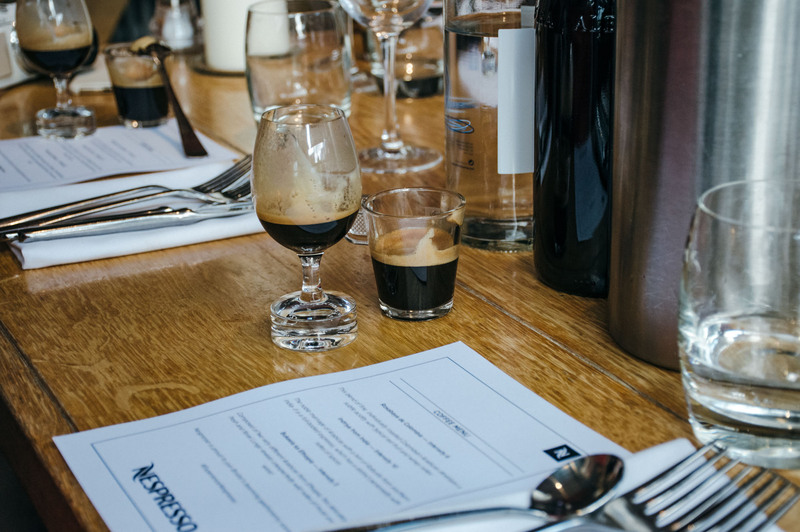 Partnering with one of my favourite restaurants in Bristol, The Bristol Lido, the evening was a culinary delight, with three courses of heavenly food cooked by Head Chef Freddy Bird, all infused with distinct coffee flavours – but more about the food later, let’s talk about coffee. There and then, I was blown away. I was drinking coffee of such a quality that I would expect to find in a small independent coffee shop, frequented by hipsters and loving their flat whites. Little did I know that the same ‘notes’ in coffee was achievable with a Nespresso machine. SOLD. Our second taster, came in a tall glass similar to a wine glass, in fact they were made by a family business who specialising in making glasses for wine. 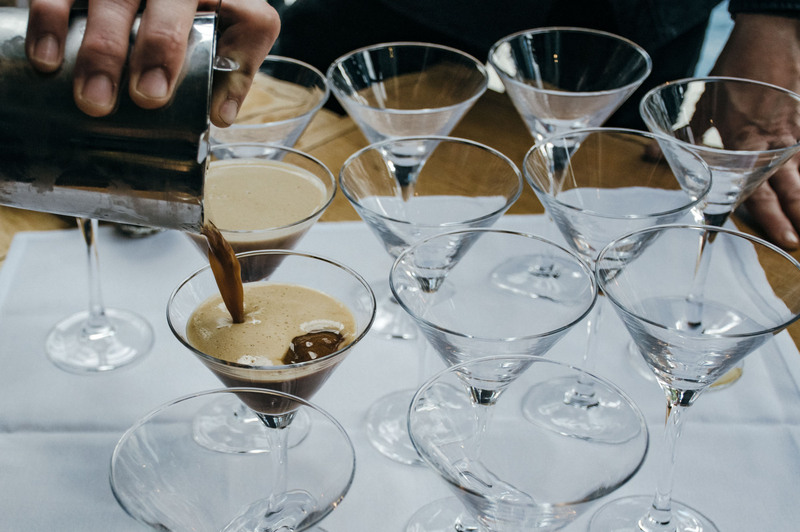 Coffee and wine are sampled in a similar way, first the smell, taking in the aroma and the ‘notes’ and then comes the taste. This coffee was rich and dark, hailing from India it was strong and spiced. Perfect for those who love a strong coffee hit. Finally, the third coffee, from Ethiopia. Ethiopia is said to produce the very best coffee in the world, and oh my, this one was utterly delicious. Floral top notes, a little like Jasmine with a deep woody undertone. I couldn’t believe that these three coffees could be so different, all equally beautiful, but with their own distinct taste. After tasting, the food! 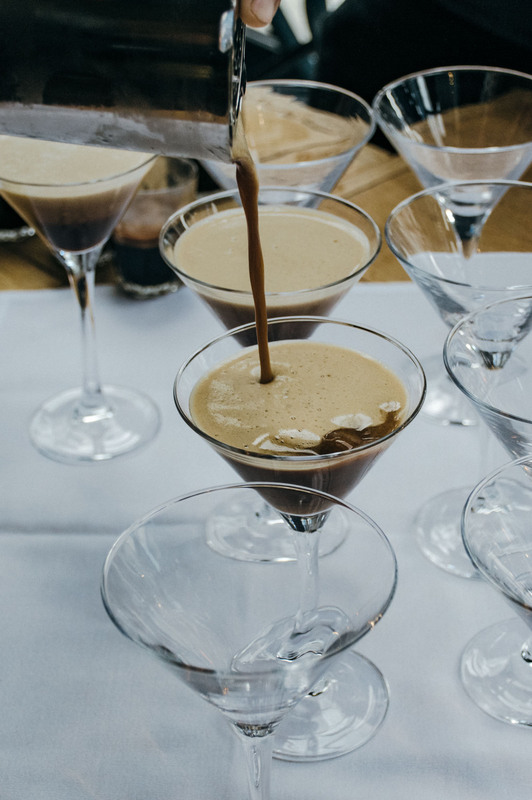 Three courses, all infused with a specific coffee from the Nespresso range. The whole meal was heavenly. 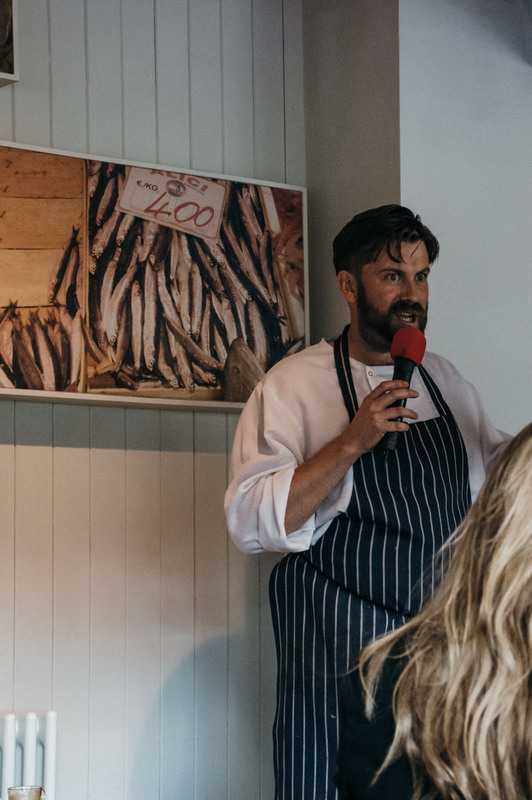 Head Chef Freddy Bird talked us through the menu, explaining the provenance and the coffee used to blend with the flavours of the ingredients. I couldn’t wait! 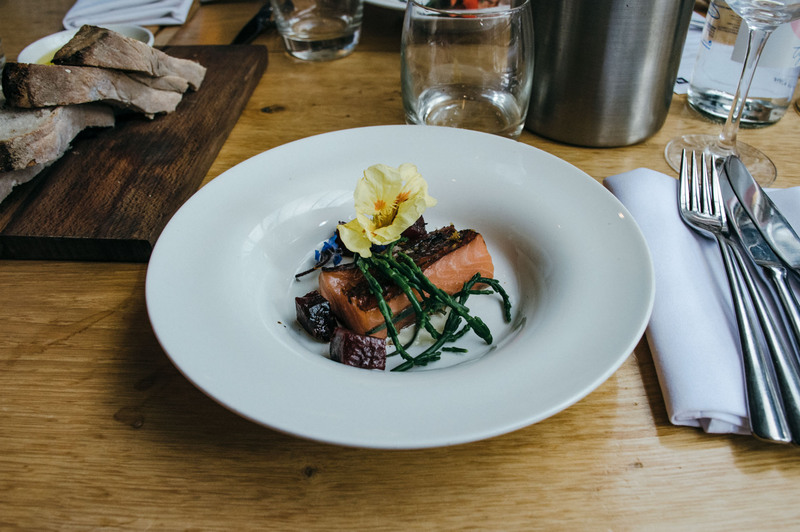 For starters we enjoyed smoked salmon with samphire and infused with Ethiopian Bukeela coffee. A subtle flavour of this bright coffee in the crust of the salmon, not at all overpowering, adding a soft gentle aroma to the beautifully smoked fish. Main course was a soft, melt-in-the-mouth cheek of Veal, which was cooked in Pedro Ximenez and Nespresso Kazaar, over puree’d mash potato. (not pictured as I devoured it before I thought to take the shot!). The vegetarian option was this floral delight of soft manchego cheese and aubergine, infused in coffee. Summer on a plate! Dessert arrived and was eaten with gusto, a glass of vanilla ice cream with a shot of Nespresso Ristretto to be eaten affogato style. (again, I didn’t take a photo, too busy enjoying it!). 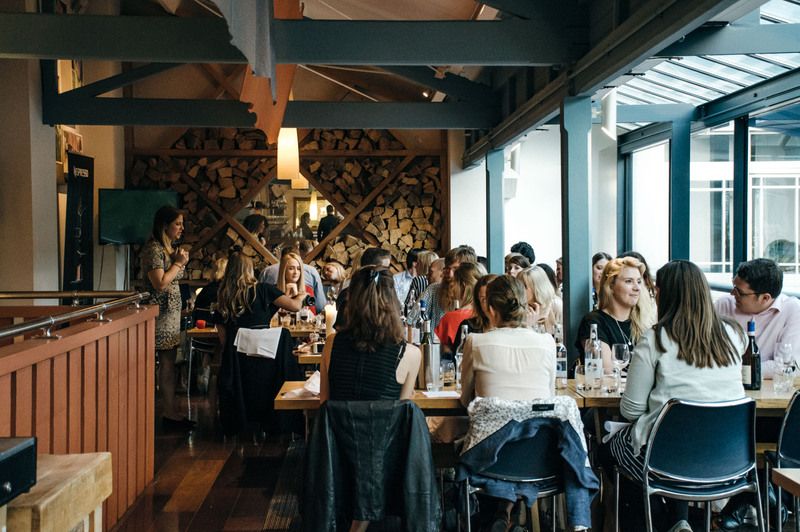 Whilst we ate our ices we listened to local foodie Andy Clarke share why he believes Bristol has the best food scene in the country and that it is only fitting that Nespresso opens its first boutique in the South West here. The boutique, is situated in The Mall, Cribbs Causeway, initially a pop-up which will eventually turn into a permanent store, opening its doors centrally in The Mall, perfect for those who enjoy shopping at the bigger high street chains, the boutique will be between the two. What makes the boutique so interesting is that customers can experience, taste and purchase their Nespresso capsules from the boutique. You can learn about the Nespresso commitment to producing the perfect cup of coffee; from sourcing the finest beans, through to the different machines that are available. All whilst sampling the many coffees available. 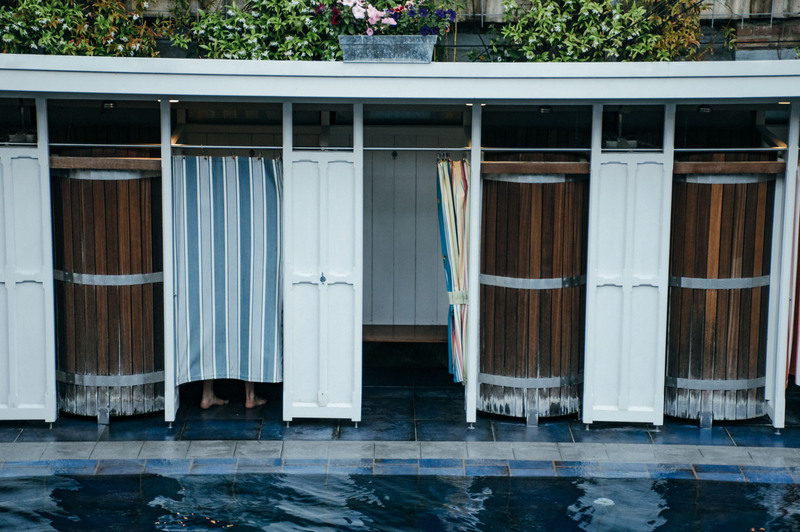 Thank you to Nespresso and the Bristol Lido for inviting me to this very special launch. I can’t wait to try all the flavours at the boutique, soon. 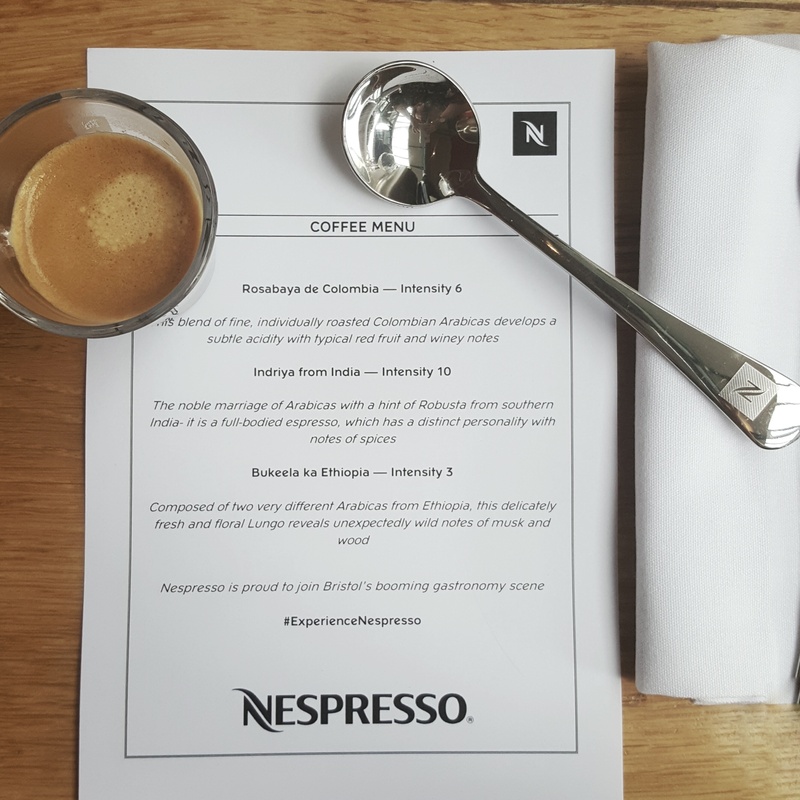 Collaboration Note: Thank you to Nespresso for inviting me to the launch dinner to celebrate their latest boutique opening. This is a sponsored post, although all thoughts, words and images are my own. Thank you for supporting the brands that make this blog possible. I’m curious to know if Nespresso talked about the pods and what, if anything, they are doing to limit their damage on the environment?